Rob, as well as drawing, loves the creativity in cooking and writing, so wrote a little recipe to contain all these aspects in one. 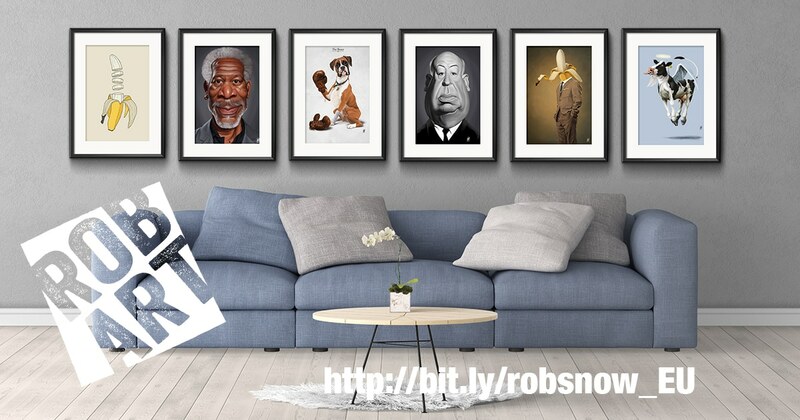 Rob is a creative designer who after a 21 year long spell working in the fields of education and web design, along with graphic design and illustration, has decided to focus on the strong values he has in both illustration and graphics. He works and lives in Greece, after moving there some 19 years ago, but was born in England and studied Media and Design at Degree and Masters levels. Rob loves to draw with pencil and converting the resulting images in the computer. He has been a freelance designer for 25 years and worked for small and large organisations alike. Whilst he was a University lecturer he combines his practice of art with his analysis of Creative/Lateral Thinking techniques, he has learnt over the years. Since an early age Rob has been interested in art. Drawing and practicing from his favourite characters. Then after school decided to do a foundation course for a year, which later led him to do his degree in Media Studies at Newcastle Polytechnic. A multi-disciplined course in film making, photography, computer graphics and animation. In the third year he adopted the specialism of Animation, in which he graduated, and learnt many of the skills he now employs in his illustration work. He worked in the industry for several years, doing work for the BBC, Yorkshire TV and film companies such as Siriol. He returned to his home town and took up a position at DeMontfort University as an Animation Technician. Later this position turned into a lecturing position, both in Animation, Multimedia and Graphics. Whilst at DeMontfort University he under took a Masters degree in Multimedia Interface design and began freelancing as a graphic designer. Rob moved to Greece and took up a research position in interface development, via the Aristotle University in Thessaloniki, which included development of creative work in multimedia and web design. For a short spell he returned to England to start work in Hothouse Creations; a computer games company. Where he developed graphics and interface designs for several published games. In 2003 he returned back to Greek, where he worked for many years as a freelance Graphics/Illustrator and Web Designer. As well as teaching at a prestigious art college in the town centre: Applied Arts Studies. There Rob taught Creative Thinking principles to Graphics, Animation and Fashion students, as well as later taking the mantle of Head of Games Design. 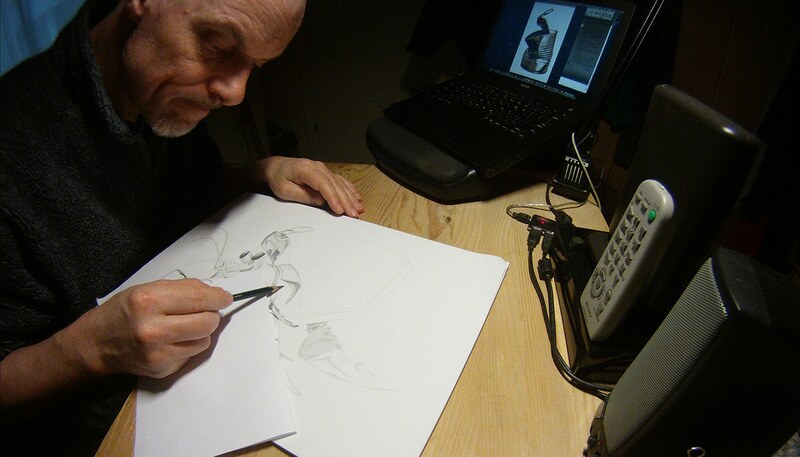 In 2016 Rob decided to venue free of other employment and go totally freelance, as his work had developed over the years, with a new aspect of combining hand drawn work with computer techniques. He has made many new developments including illustration work for clients in the UK, America and Europe, as well as several prestigious design works for German company, Ritzenhoff, and featured in art based projects such as Playing Arts cards. Rob’s main passion is art. He enjoys and continually works at drawing and developing ideas and techniques, which he uses in personal and commissioned work alike. Many of his examples can be seen online at my website. Much of his unique style has led his to be included in several leading public events like Behance Portfolio Review, Toolkit Startup lecturers, Jury member at Reggae Poster competition and Graphics Stories Cyprus Lecture and Workshop. Rob has a great love for animals, which shows in much of his work. The following video was shot and compiled to show a typical process achieved in doing one of the animal prints.